NY: Oxford, 1951. Bound in printed boards that match the illustrations on the dust jacket with a bit of scuffing to front panel. . Map endsheets. This is the first edition of the author's second book and winner of the National Book Award in the year of publication. The author went on to write her timeless book, Silent Spring, re: the dangers of DDT. 230 pp. Lacks the matching dust jacket.. First Edition. Hard Cover. Very Good +/No Jacket. UK: Folio Society, 2008. Bound in decorated green cloth, stamped in black, orange and gold. Housed in a matching, illustrated slipcase. An "as new" copy of the Folio Society printing. 379 pp. Lots of color photographs on glossy stock. . Reprint. Hard Cover. Fine/No Jacket - As Published. UK: Folio Society, 2008. Bound in decorated tan cloth, stamped in red, green and purple. Housed in a matching, illustrated slipcase. An "as new" copy of the Folio Society printing. 426 pp. Lots of color photographs on glossy stock. . Reprint. Hard Cover. Fine/No Jacket - As Published. UK: Folio Society, 2011. Bound in green cloth stamped in silver with title on label to front panel. Subtitled, "monograph of the Paradiseidae, or, Birds of paradise, and Ptilonorhynchidae, or Bower-birds photo". 288 pp. The companion piece to the illustrated book. An "as new" copy of the first Folio Society printing. Exceedingly rare -- only one copy on OCLC/Worldcat. . First Edition Thus. Hard Cover. Fine/No Jacket - As Published. Delaware: Cedar Tree Books, 2007. Bound in glossy pictoral wraps is fully illustrated in black & white photos throughout entire volume. Is in near-fine condition. 149 pgs.. First Edition. Soft Cover. Near Fine/No Jacket. 9 " X 6 ". NYC: National Headquarters, 1914. Bound in tan wraps, stamped in red and black. Some wear to spine ends, but a tight clean copy. 80 pp. + photos at rear of book. . Fifth Edition. Soft Cover. Very Good/No Jacket. London: Frederick Warne & Co., Ltd., 1958. Bound in blue textured boards with darker blue ink embossed lettering to front panel and spine. Has full color illustrations of all butterfly species included in volume. Shows light fading and wear to extremes. Dustjacket has a clipped front panel and wear to extremes. 190 pgs.. Reprint. Hard Cover. VG+/VG+. 48mo - over 3" - 4" tall. New York: D. Appleton and Co., 1884. Bound in brown cloth with gold decorative lettering to front panel & gold lettering to spine. Previous owner's name & date to ffep; has decorative floral end-papers, and shows light wear to corners & spine ends. 479 pgs. A tight, clean copy. . First Edition. Hard Cover. Near Fine/No Jacket. 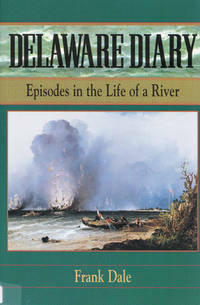 U.S.A.: Rutgers University Press, 2002. 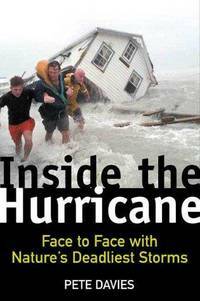 Bound in decorative glossy wraps; is signed by the author to half title page, with reviews laid in. Has black & white photo illustrations, and shows mild rubbing. 203 pgs. Tight, clean copy. . Signed by Author. Third Edition. Soft Cover. VG++/No Jacket. 9 " X 6 ". London: Spring, 1964. Bound in cream cloth, stamped in gold. A tight clean copy of this 135 pp. book. Beautifully illustrated. . Fourth Edition. Hard Cover. Very Good ++/No Jacket. Illus. by E. Demartini. 4to - over 9¾" - 12" tall. Boston: Houghton Mifflin, 1991. Bound in 3/4 tan boards with cream cloth spine. Has author's name in gold to front panel and gold lettering to spine; is in near-fine condition. Dustwrapper is in near-fine condition. 162 pgs.. First Edition. Hard Cover. Near Fine/Near Fine. NY: Scribner's, 1924. Bound in green decorative binding. A beautiful, tight, clean copy. 197 pp. + ads. Scarce in this protected condition. . Reprint. Hard Cover. Near Fine/No Jacket. 12mo - over 6¾" - 7¾" tall. NY: W W Norton & Co Inc, 1990. Bound in stiff, glossy wraps. 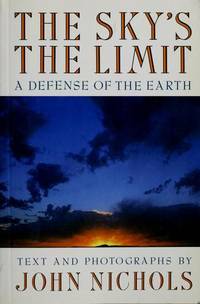 This is the first edition of this book by the author of the Milagro Beanfield War. Inscribed and signed on the ffep. One highlighted line in the intro. Approx. 128 pp. . First Edition. Soft Cover. VG+/No Jacket. Indianapolis: Bobbs-Merrill, 1954. Foreword by Joseph Wood Krutch; black & white plates; 264pp.. First Edition. Hard Cover. Near Fine/Near Fine. New York: Arch Cape Press, 1990. Reprint edition with 200 full color prints; foreword by Gerald Durrell; previous owners name on ffep. ; 256pp.. Reprint. Hard Cover. VG+/VG+. 4to - over 9¾" - 12" tall. New York: Henry Holt & Company, LLC, 2000. 264pp. A tight, clean copy in bright dust jacket. . First Edition. Hard Cover. Near Fine/Near Fine. New York: A.S. Barnes, 1969. Illustrated in black & white; 148pp.. First U.S. Edition. Hard Cover. VG++/VG+. New York: Harper & Row, 1964. Illustrated in black & white; 278pp.. Third Printing. Hard Cover. VG++/VG++. Philadelphia: Lippincott, 1971. 2nd printing; Shallow cut down middle front panel of DW; black & white photos by Walter Chandoha; ; 111pp.. Second Printing. Hard Cover. VG++/VG+. Illus. by Photo-Illustrated. 4to - over 9¾" - 12" tall. NY: Dodd, Mead, 1960. This is a handsome set of the four seasons by Teale. Each one has a signed bookplate affixed to the second free endpaper. Included with the Set is a TLS from Teale in envelope that states that he is sending the four bookplates to the previous owner. All are later printings, all in bright dust jackets that show very little wear. Wandering Through Winter was a Pulitzer Prize Winner. Previous owner's bookplate to front pastedowns, map endsheets. 358 pp., 366 pp., 386 pp., 370 pp.. Signed by Author. Later Printing. Hard Cover. Near Fine/Near Fine.